An opportunity to demonstrate full-service creative agency benefits. 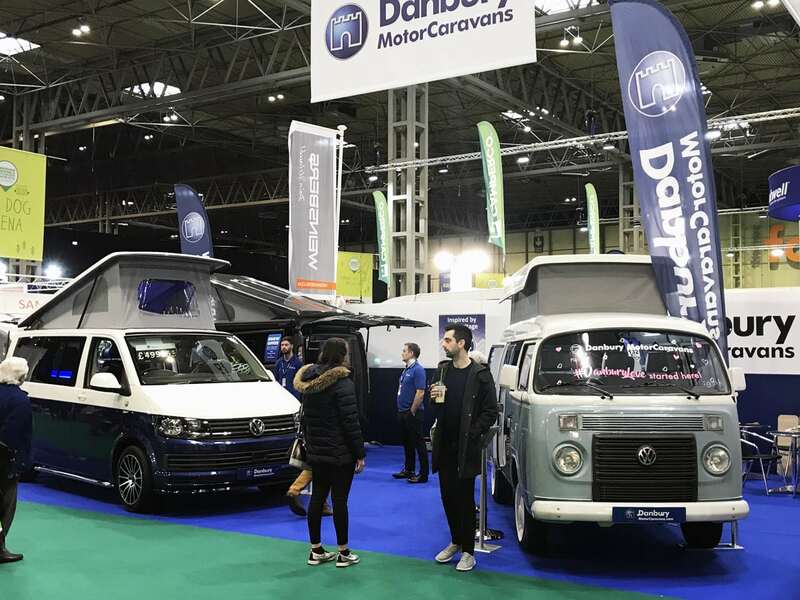 Having recently been acquired by European leisure vehicle giant Groupe Pilote, Danbury MotorCaravans of Bristol, were given a short-notice opportunity to exhibit at the NEC Caravan, Camping & Motorhome Show, taking place at the end of February 2018. However, with less than two months to plan, design, build and populate the stand, Danbury realized that success was very time-critical and again challenged Bristol creative agency Red Thread Creative to provide the resources and production expertise to co-ordinate and deliver all the required elements – exhibition design, build and logistics / exhibition banners and graphics / product logo design / product photography / product literature design and print. Creative solutions for launching new products. 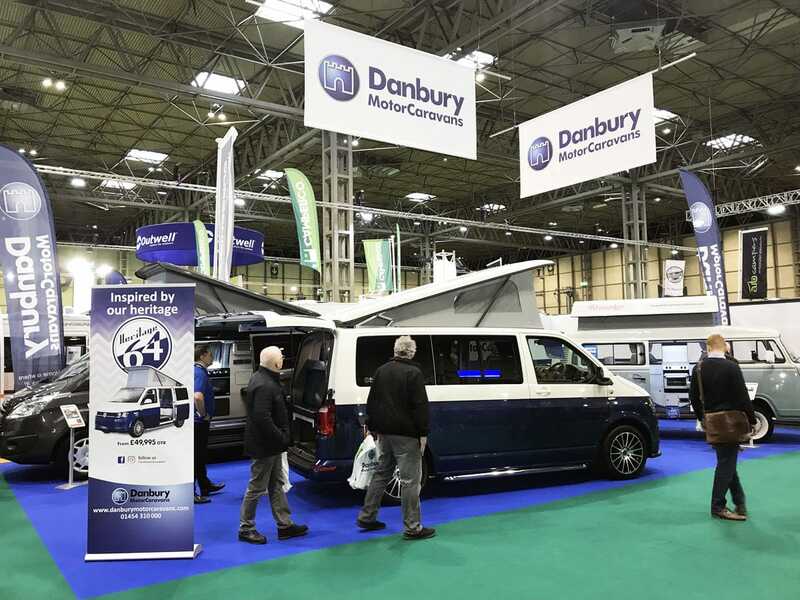 As if the short timeframe wasn’t enough of a challenge, Danbury would also use this show to launch their latest T6 conversion, the Heritage-64. Creating the assets for a new model launch alongside the short-notice exhibition design and build would employ much of Red Thread Creative’s full-service creative agency expertise. To compound the time pressures, we were informed at an early stage that the new vehicle prototype was still being developed and would not be ready for photography until two weeks before show Open Day. As a full-service creative agency in Bristol, we are often challenged to overcome tight constraints and schedule resources to match our client’s production times. We recognize that clients are often faced with their own challenges and our ability to organise multiple resources, in-house, at short notice is a major benefit for our clients. With a modest floor space at our disposal to showcase the Danbury brand and provide a platform to launch the Heritage-64, our first challenge was the design and flow of a part-island floor-space allocation. Through effective client discussion, we agreed the requirement for wall separation from competitor stands, with shortened lengths to encourage footfall and visitor transit. The final design was scheduled and resourced for build within weeks of client instruction. 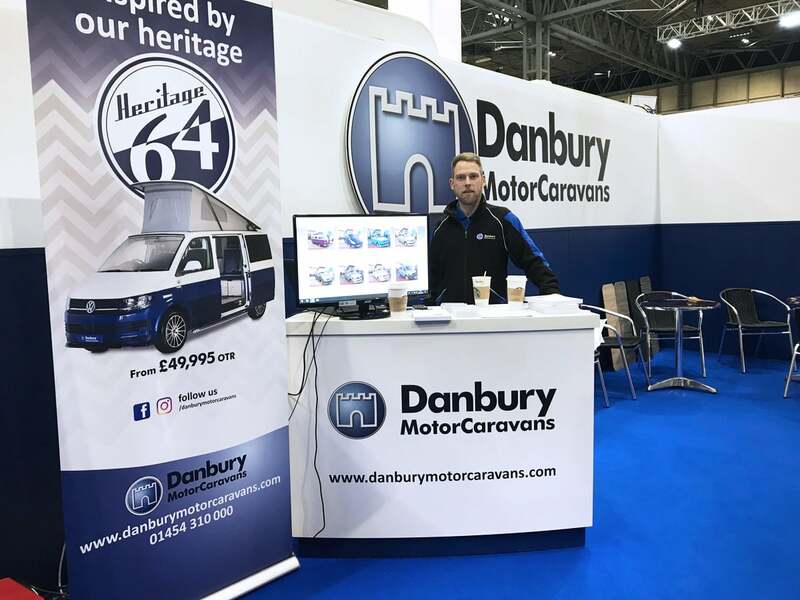 Recognising the need for speed, we provided regular, close contact for Danbury MotorCaravans to quickly develop creative concepts and final-draft product brochure and display banner designs in order to accurately brief photography. With only days between the weather-dependent outdoor vehicle photography and print production, there was absolutely no time for a re-shoot. Extremely fast Brand Identity Design without compromise. Creative agency graphic design & Brand Identity services. 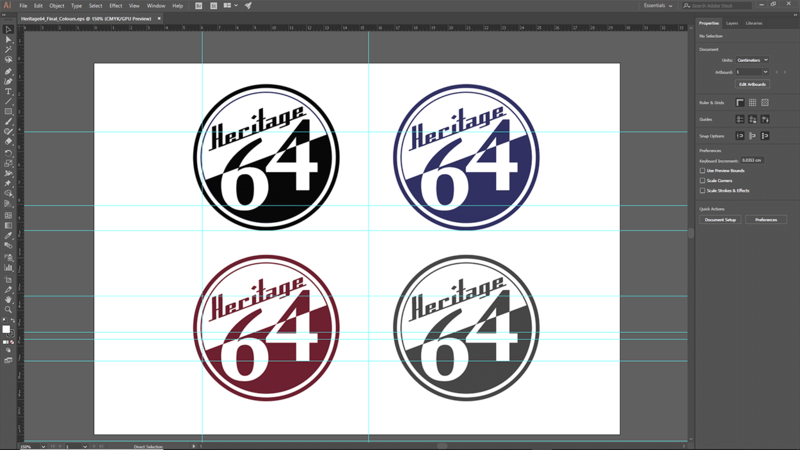 At the initial project briefing we had identified that the vehicle badging provided the opportunity to create the Heritage-64 brand, a service that Bristol creative services agency Red Thread Creative specializes in. Various brand identity designs were developed and presented for approval with the multi-purpose consideration for logo reproduction sizes from small badge size to large-format exhibition display being the over-riding factor. Full service creative agency benefits NEC show display design. All exhibition materials were successfully delivered on the last working day before the week of the show. A significant achievement made possible through close client contact and involvement and the expertise of a full-service Bristol creative agency.